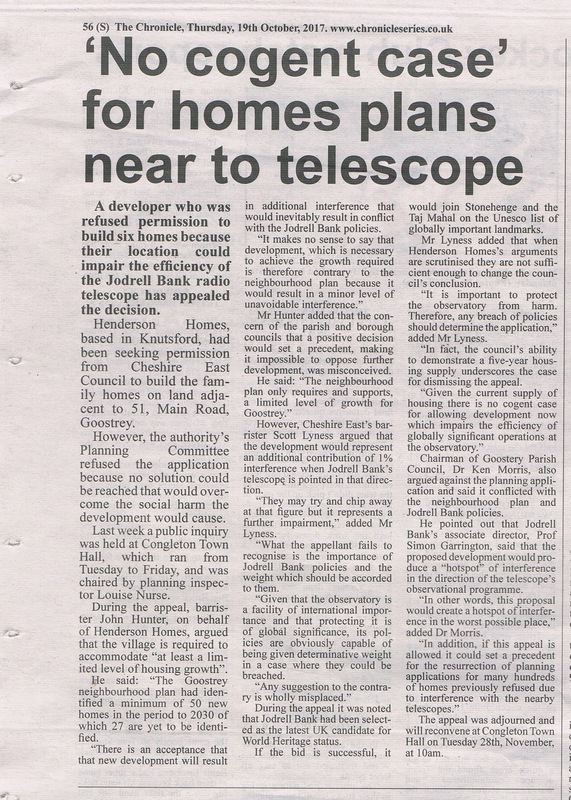 The following article appears in this weeks Sandbach Chronicle following the public inquiry into the refusal of 6 homes next to 51 Main Road. 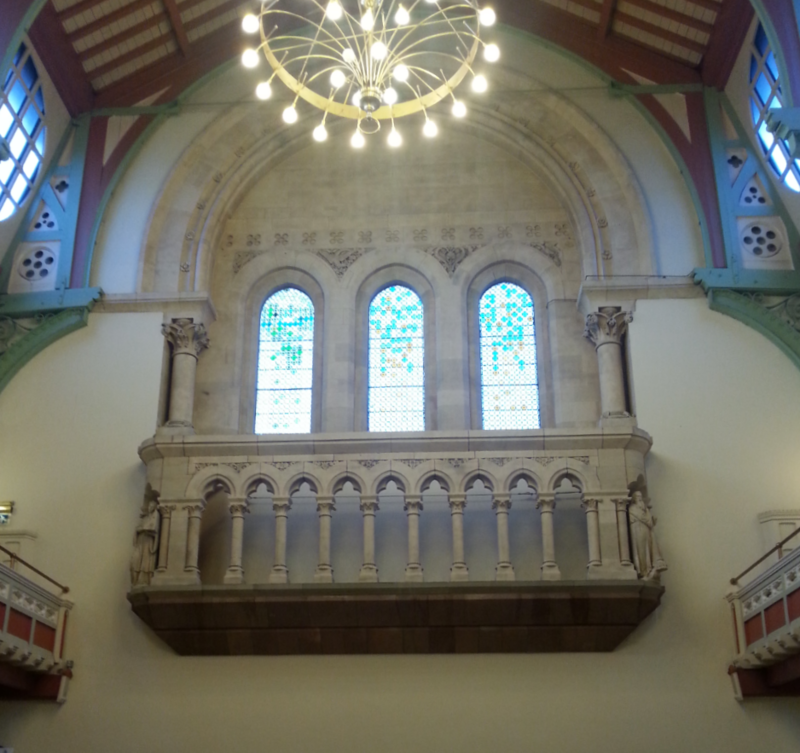 The inquiry was held in Congleton Town Hall last week and due to the length of time taken to present evidence etc it has been adjourned until Nov 28th. The article states that barrister John Hunter, on behalf of the developer, said that “there is an acceptance that the new development will result in additional interference that would inevitably result in conflict with the Jodrell Bank policies”. 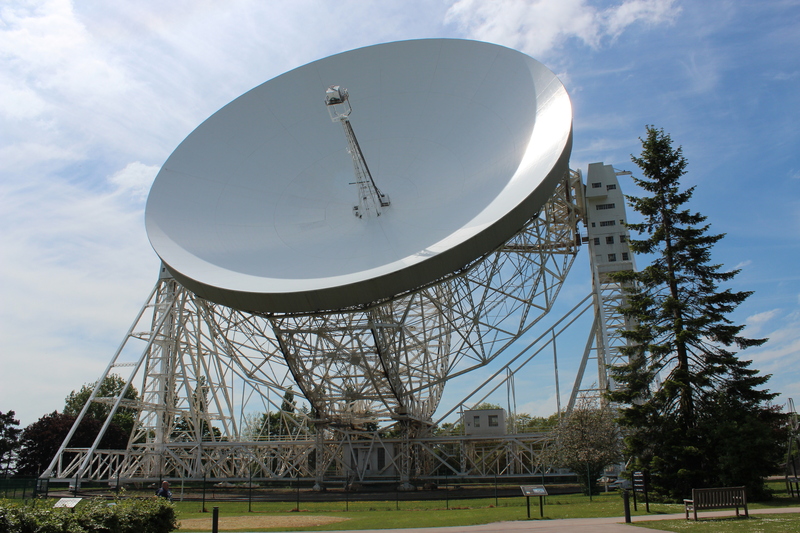 Cheshire East’s barrister Scott Lyness stated,” What the appellant fails to recognise is the importance of Jodrell Bank policies and the weight which should be accorded to them”. This entry was posted in Appeals, Jodrell Bank Observatory. Bookmark the permalink.